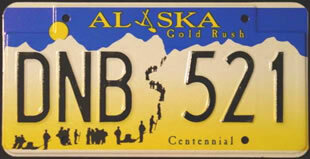 Automobile license plates have become one of the most popular hobbies in both the United States and worldwide. Colorful and graphic, depicting elaborate designs, license plates of today are almost like picture post cards. Whether searching for one plate from each state of the United States, province or territory of Canada, an international plate or vintage plates for your antique, classic or collector vehicle the Plate Hut has the right license plate for you! Plates make special gifts, unique souvenirs and also commemorate a special place and time. Looking for a complete 50 state set? You are just a click away!!! “Artistic license” a new modern twist on art…Check It Out! If you are interested in obtaining a license plate, please e-mail me by clicking ORDER HERE. This site represents only a very small portion of my vast inventory and resources for providing collectible license plates. I will also try to accommodate any special requests to obtain a license plate that you do not see on this site. If you prefer to order or discuss by phone please call (718) 279-1890.